Big Sur will be open from 8am everyday over the long weekend. Brunch served from 10am – 4pm up till Tuesday. Monday 21st May – 6pm $25 craft beer & $25 Big Sur special Monday snack. 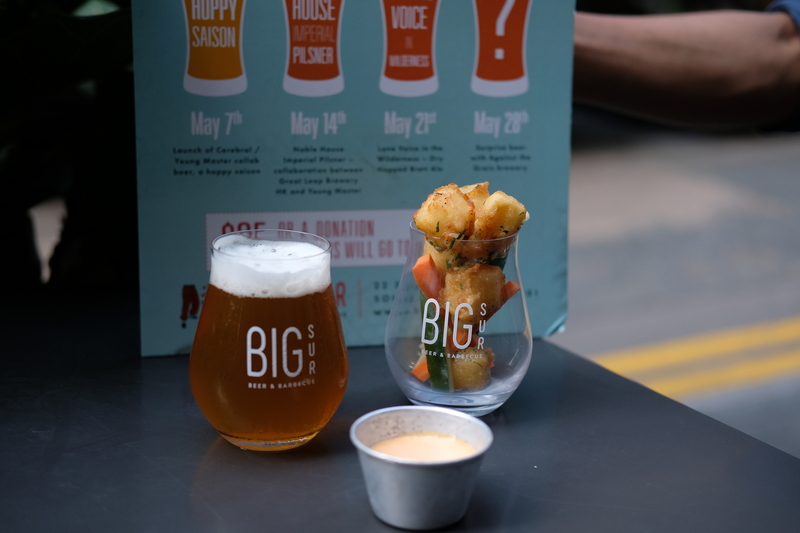 Join us for a very special ‘Hoppy Monday’ supporting Impact HK with $25 craft beer ‘Lone Voice in the Wilderness’ or a larger donation – our special edition of Big Sur snack for Monday is Fried pepper jack cheese with red chili sambal mayo also $25 or a larger donation. Starts from 6pm. See you there!